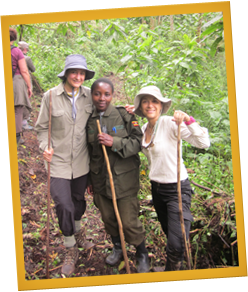 Our story began in September 2011 when, I Yasemin Saib and my good friend Najla Al Midfa traveled to Uganda for a week’s vacation to explore the country, go rafting on the Nile, go on game drives by lakes, go gorilla tracking in the rainforest and have a wondrous adventure! Since I have a long standing personal tradition of giving back to the communities which I visit, especially in the developing world, I had prearranged with our Ugandan travel organizer a visit to the slums of Kampala to extend a modest helping hand to those less fortune. Little did Najla and I know that what we were about to witness would change our lives forever. angelic 72 year old lady who was known as Jaja (grandmother) in Ugandan. Jaja, we learned had taken it upon herself to look after abandoned and orphaned children in the slums of Kampala for over 30 years. She could not have children of her own and despite the fact that she had no means to support herself, let alone support abandoned children for all these years, astonishingly she managed to get by and keep herself and the 26 children who were in her care at the time we met alive purely on random handouts from occasional good samaritans. Needless to say, the room which they were living in was beyond unlivable by any measures. It was grotesquely too small to accommodate herself and all her children. It was beyond unhygienic, with a few broken bunk beds, soiled sheets, a mountain of garbage all the while the children including Jaja had barely anything to eat or drink or wear. Their clothes were almost fully torn, filthy, and most of the children, especially the younger ones were suffering from acute malnutrition. There was no running water or sewage or electricity and with almost no resources to secure their next meal, let alone their future, somehow they managed to survive all these years. It was tremendously heartbreaking. Eight of the children we meet that day were under the age of 5. They we weak, frail, hungry, dirty and desperate. All the children had been abandoned for one reason or another by one or more parent and some were orphans. 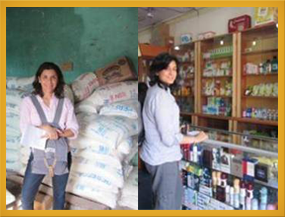 Najla and I scrambled with what little time we had that day to fill a truck load with whatever food supplies we could buy. From massive rice bags, wheat, flower, sugar, cooking oil, to fruits, vegetables and meat produce, juices and sweets for the children, we kept packing it all in. We also tried to pick up some other hygiene products and whatever we could get our hands on because they needed everything. We delivered the truck load of supplies to them, spent the afternoon with Jaja and the children, exchanging basic pleasantries with our language gap and attempted to offer the children some menial affection given the stench in the room made it difficult to even breathe. Night time came, we left and my friend and I were happily situated in our 5 star hotel where we dined and went about the rest of our vacation. The truth is, I left the children in the slums that day, but they did not leave my mind or my heart for the remainder of our trip. The entire time, I felt a deep sense of shame. What had I done? What did that truck load of donations really mean to them? What did it really mean to me? The supplies we got would keep them alive for another month at best, but then what? What had I achieved? Was that a self-serving exercise so that I can congratulate myself for a job well done? Did I give merely to ease my own guilty conscience and be able to go to sleep at night thinking I tossed some food in the way of some poor kids and that somehow that should be enough? The truth is… what my friend and I did for these children was hardly enough… and so I vowed on that trip to see it through to the end. I made a commitment to take care of Jaja and these children for life. 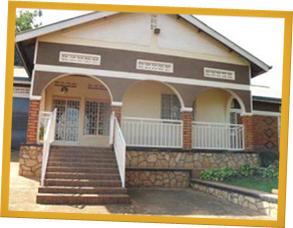 So… first, we registered an NGO in Uganda and called it: Live it up Uganda, home for rescued children. Then, we secured a new home for them to live in and furnished it. When friends found out about this initiative, the support was overwhelming and immediate. We quickly formed a Board of Directors of 12 superwomen, each in their own way! Then, two of our board members, Amanda Navaian and Fleur Oberoi traveled to Uganda to help the children move into their new home. We hired a mobile clinic to come to the house to diagnose the health of the children. 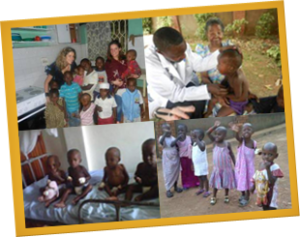 Full medical checkup was conducted on all the children and a comprehensive medical file was created for each child. Blood tests were done on all the children and it turned out that they were all HIV negative. Some of the children were critically ill suffering from polio, pneumonia, malaria and serve malnutrition and had to be admitted to the hospital. Meanwhile, we enrolled all the children in private schools and equipped them with all the necessary school supplies, uniforms, tuition, books and stationary. 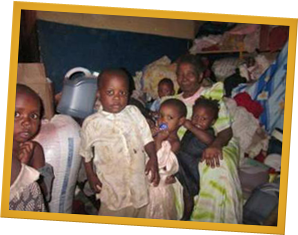 We hired 5 full time caretakers to look after the children and were as such able to secure all their basic needs in phase 1: shelter, nutrition, health, education, and care. To all those who have supported Live it up Uganda from the beginning and who continue to support us to date, I humbly thank you for giving our 26 children the gift of live and the hope for a great future.